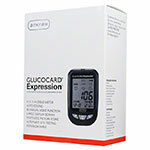 You are buying the Arkray Expression 200 Test Strips and 200 Lancets Deal. 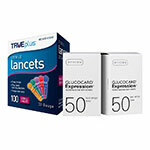 Save when you buy this combination deal of diabetes strips and lancets from ADW Diabetes. 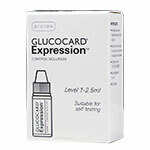 The Arkray Expression 200 Test Strips and 200 Lancets are intended for the quantitative measurement of glucose in fresh capillary whole blood samples drawn from the fingertips, forearm, upper arm or palm.